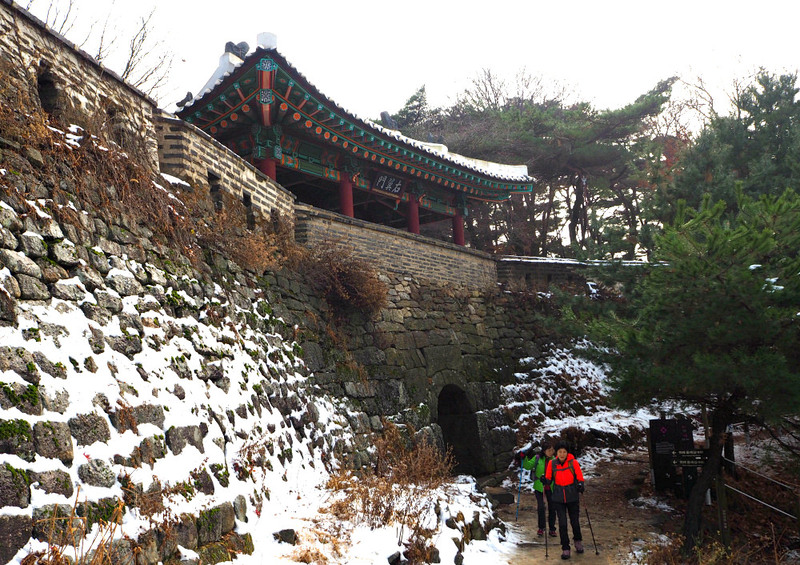 The Namhansanseong West Gate (Namhan Mountain Fortress) is one of the four existing gates preserved in this mountain. This gate has played its crucial role in protecting Hanyang (the old name for Seoul) against the attacks from Sino-Manchurian invaders. 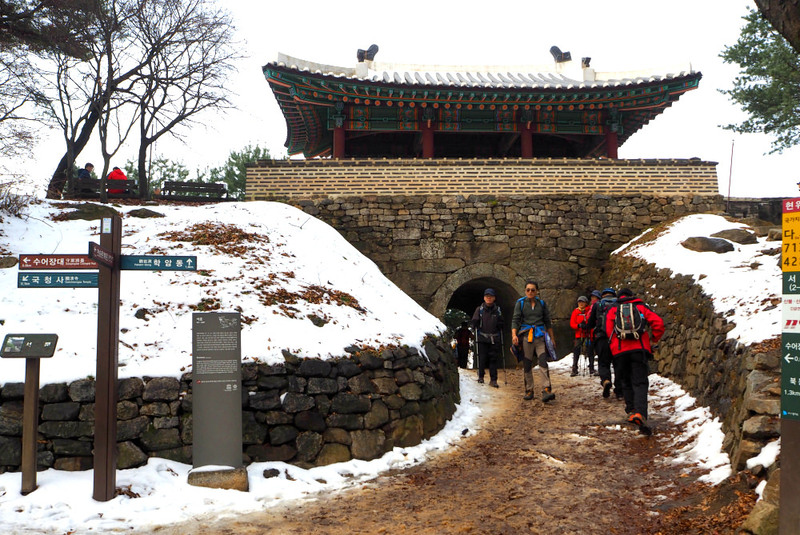 I hiked from the rotary of this UNESCO World Heritage enlisted site to the West Gate during my second trip and hike. It snowed the other day, and you can imagine how the walls and surrounding of the fortress look like. To get to this gate, you have many possibilities of routes to take depending on your choice. From the Rotary—South Gate—Yeongwoljeong—Sungyeoljeon—West Gate then return to the Rotary if you took the bus (#9). This course could take about an hour but easy hike. From the Rotary—North Gate—West Gate then return to the Rotary. Although this route sounds easy, the hike is a little bit difficult because of the steep ascension level. 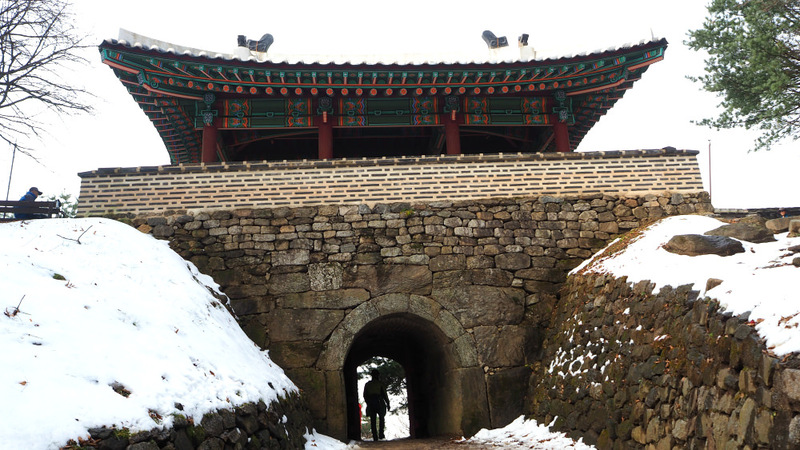 From the entrance of Namhansanseong Fortress—South Gate—West Gate. The above route is good for physically fit hikers. You need to hike or climb a steep ascension level for about thirty minutes to reach the South Gate. If you want an easy hike or have little kids (ages around seven and above), you may want to take the longer one (the first route). The good thing about taking the first one is because you can see a lot of historical sites or points along the way. Some of the significant, interesting historical points are described (with photos) below. 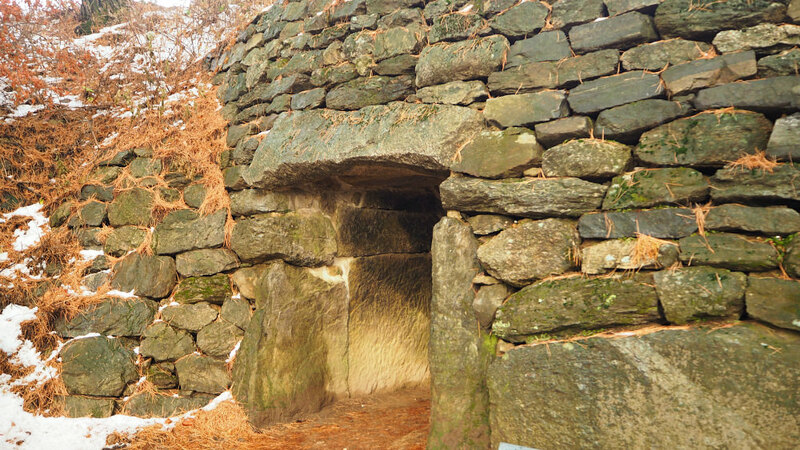 "A number of hidden gates were built around Namhansanseong (Namhan Mountain Fortress) in hard-to-observe, and there were small and virtually indistinguishable to the enemy. 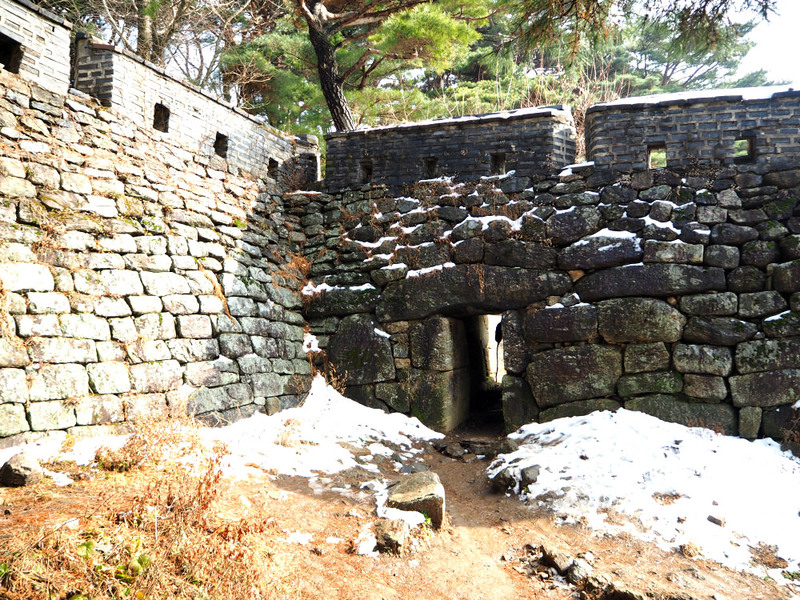 This gate was for access to the Yeongjubongongseong (double-layered fortified walls. The inner side of the gate featured a long stone wall so that the gate could be sealed for protection when the fortress was in use". "Hidden gates were located in areas the enemy forces had difficulty observing. 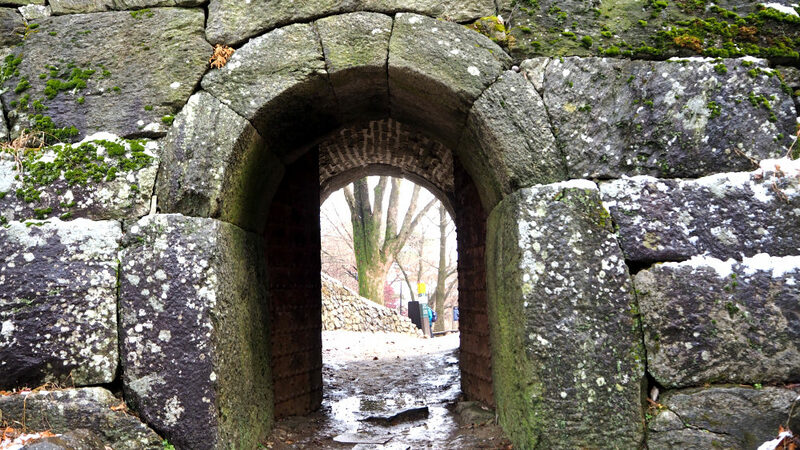 The entrances were small and hard to distinguish from the rest of the fortress. This gate served as a sentry post facing the northwest. It was set up somewhat like a battlement to serve defensive purposes for the northwest portion of the fortress. On January 23, 1637, the gate served to repel a Manchu attack in the middle of the night". 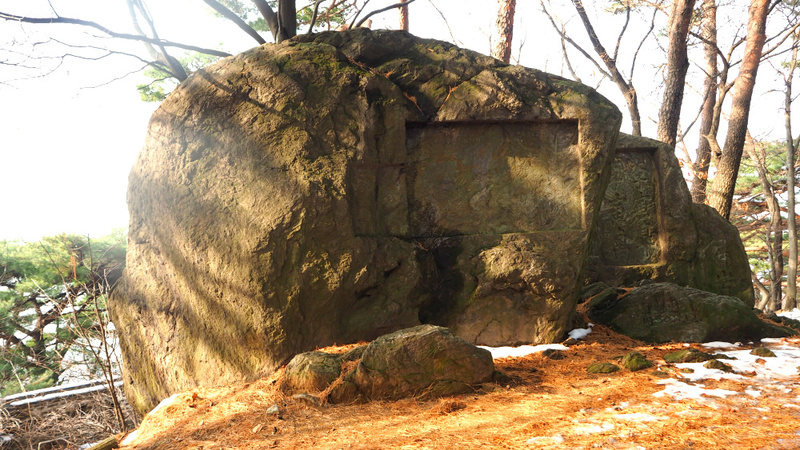 "This stele written by the Royal Guard Seo Myeonggeung, details the restoration of Namhansanseong (Namhan Mountain Fortress) during an 8-week period in the summer of 1779. Mr Lee Myonggung supervised finances and construction, and the record includes the names of 18 directors of each of the 18 sections which were restored". The stele is on your right hand side when going to the West Gate from the South Gate as your route. 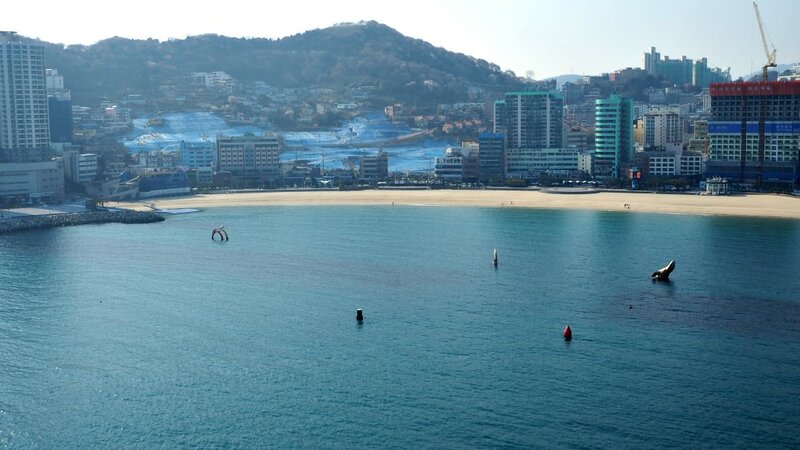 First, you need to get to Sanseong Subway Station. If that is the mode of transport, you wish to take. Take Seoul Subway Line 8, then alight from Exit 2. Take Bus numbers 9 or 9-1, then get off at the Rotary of Namhansanseong Bus Stop. If you want to start your hike from the South Gate, directly head towards the Parking Area and pass through the gate and you will see the gate. 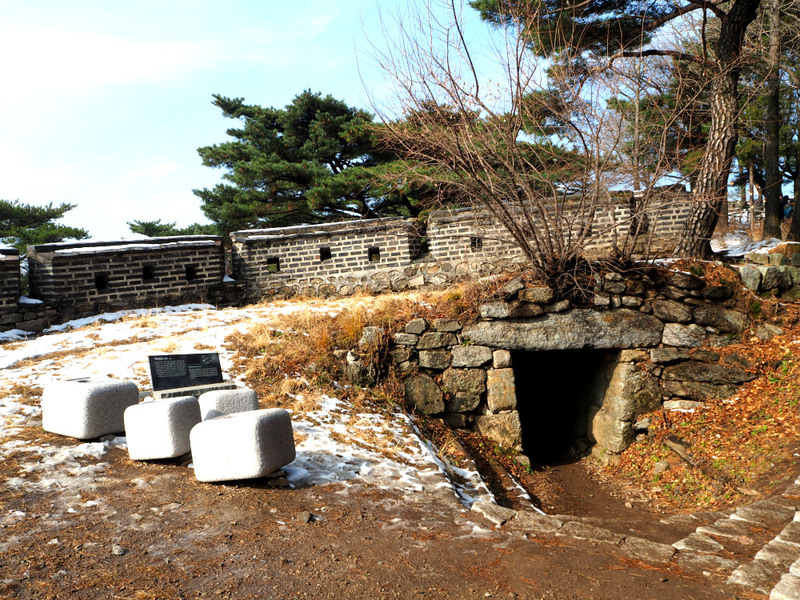 Then transfer to Bus 15-1 at the entrance of Namhansanseong Fortress. Then get off at the bust last stop where the fortress is. 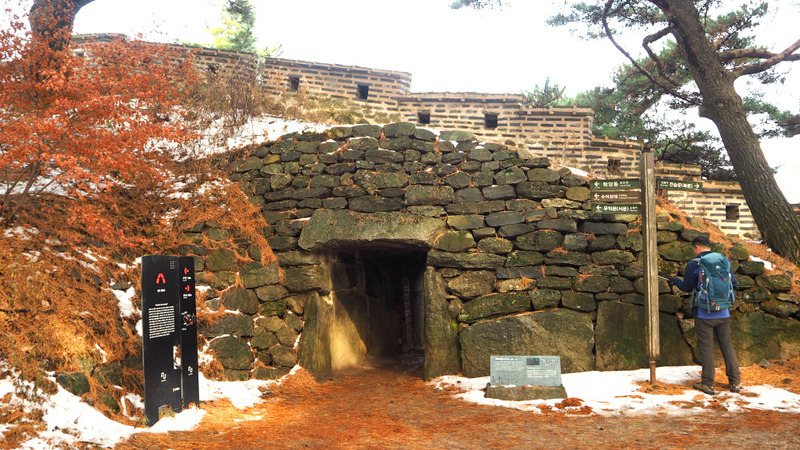 To learn more about Namhansanseong Fortress, please read the page. 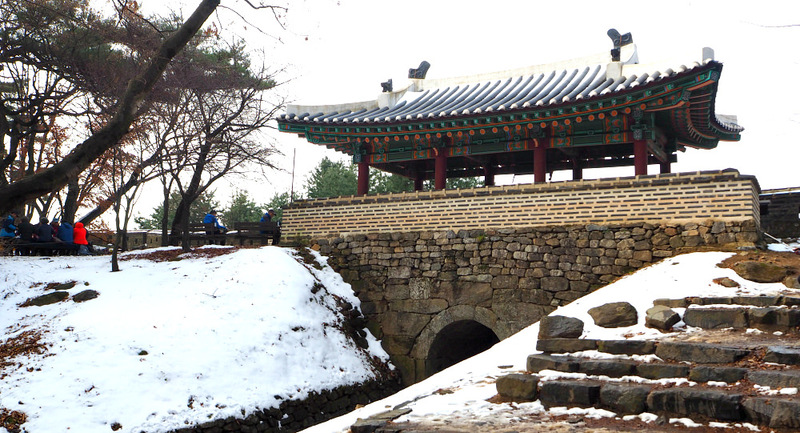 This page only serves as an extension of that page with more photos of Namhansanseong West Gate. Thanks for visiting this page. Hope you have a safe and exciting trip.